There are a lot of different routes that lead us to our wonderful Machu Picchu, but there is an ancestral path considered an authentic inca trail which deserves to be showed worldwide due to its natural and cultural richness, nowadays it is protected and considered part of Machu Picchu National Park. This route starts in the Sacred Valley of the incas, at the community of Piskacucho and located at 2300 m.a.s.l (8000 f.a.s.l) and you do not have to worry about altitude sickness as it is located 1000 meters less than Cusco city. This trekking route was abandoned for moreover 150 years as in the past, it was used by locals for transportation and trading of products that they cultivated in tropical zones as Santa Teresa, Huyro, Santa Maria, Quillabamba and the whole province of La Convencion. Also, this road was used by the scientific discoverer of Machu Picchu known as Hiram Bingham, to transport all of the treasures of this worldwide wonder. During the first day, we will visit more archaeological sites as Corihuairachina which remains sleep over the time and keeps many secrets. After some hours, the landscape will drastically change from a dry valley with panoramic views to a tropical humid forest with lots of vegetation in which our biologists identified many varieties of orchids. We will as well the almost-horizontal mountains with abundant vegetation considered as jungle area and along with these mountains the Vilcanota River. We will cross the valleys and reach to 104 kilometer of the route Cusco – Machu Picchu, here we will pass the river through a suspension bridge and then visit Chachabamba, another interesting archaeological site and after 3 hours hiking gradually upside we´ll reach Wiñayhuayna site (meaning “Forever Young”) and from here we will connect with the traditional 4 days inca trail, as it only existed one entrance to Machu Picchu town known nowadays as Inti Punku (Sun’s Gate) and from here you can appreciate the first panoramic view of this Wonder. Kenko Adventures provides you the possibility to visit 2 consecutive days this worldwide wonder: in the afternoon of the second day and appreciate the sunset in Machu Picchu and then during our third day to see the sunrise and appreciate completely Machu Picchu assisted by your professional guide which is authorized to operate in the Inca Trail net of the Historical Sanctuary of Machu Picchu. Hiking, adventure, guided visits, flora and fauna, history, culture and more! 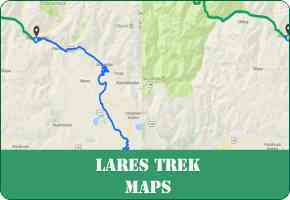 What does Sacred Valley Trek include? 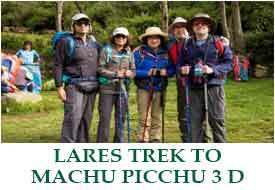 2.5 hours guided tour in Machupicchu. 3 stars hotel at Aguas Calientes for the 2 second night. 1 nights at private campsite. 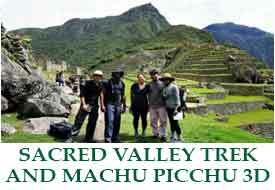 Entrance fee ticket to Sacred Valley trekking route. Hot shower service during trek. Our tour will start in Cusco city, your guide will pick you up from your hotel early in the morning and drive in our touristic transport through the Sacred Valley of the Incas via Chinchero until reaching Ollantaytambo, and here we will make a short stop for breakfast. After 45 minutes, we will board our transport and continue for another 30 minutes until Piscacucho community or known as well as kilometer 82 of the route Cusco – Machu Picchu in which our trek will start. Before we start our hike, our guide will provide you the final indications which we highly recommend to follow to the detail as this trekking route belongs to a National Protected Reserve. After a short hike we will reach the archaeological site of Kanamarca or the Town of Fire, here your guide will provide you all the necessary information about it. Then, we will follow our hike through the Valley until another site: Corihuayrachina, here we will appreciate the importance of agriculture for Inca civilization; continuing with our hike we will finally reach the humid forests of this Natural reserve and see the great biodiversity of flora and fauna from the Sacred Valley of the incas and its majestic Vilcanota river. Finally, we will reach our campsite Cedrobamba; after an interesting day we will enjoy a camping night with our superior service complemented with a total relaxation moment offering you hot and cold beverages and some snacks as crackers and popcorn; followed by our dinner in the evening. Day 02: Cedrobamba – Wiñayhuana – Inti Punku (sungate)– Machu Picchu - Aguas Calientes. Our second day will start very early in the morning with a hot beverage that our staff members will provide you to your tent and then your guide will announce you when the breakfast is ready. Once we had finished our delicious breakfast, we will start our hike for 20 minutes approx. until reach kilometer 104 on the route Cusco – Machu Picchu and cross the suspension bridge to ascend towards this inca trail to Machu Picchu, also during the trail we will visit many different archaeological sites as Chachabamba and Wiñayhuayna, uniques due to their location and connection with Machu Picchu. Finally we will arrive to the last campsite of the 4 days inca trail hikers, here we will start the last portion of this hike until reaching Inti Punku. From here we will see Machu Picchu in all its glory with a panoramic view. Lastly we will reach to Machu Picchu and our clients will have the opportunity to make a small visit to the citadel as tomorrow will be the main day to make the guided visit. After enjoyed this archaeological site our visitors will board the bus towards Aguas Calientes town known as well as Machu Picchu town in which your guide will accommodate you in your hotel and coordinate the meeting time the following day to see the sunrise in Machu Picchu. Day 03: Aguas Calientes – Machu Picchu – Ollantaytambo – Cusco. This day will be entirely dedicated to visit Machu Picchu, and for this reason we recommend to coordinate with your guide so you do not miss anything! We also advise to start early to avoid lines and inconveniences as in 2017 we had the highest demand of this wonder having 7000 tourists per day, for this reason we plan carefully our itineraries in order to avoid any unforeseen circumstance and make more pleasant your visit here. Our guide will pick you up from your hotel and from here lead you to Aguas Calientes bus station and board towards Machu Picchu, this ride takes 30 minutes and then we reach the Historical Sanctuary of Machu Picchu. In this place, it is very important to have your passports to access, then you will have a 2 hours guided tour inside the citadel by our professional guide and once you had finished, you will have some free time to enjoy by yourselves. 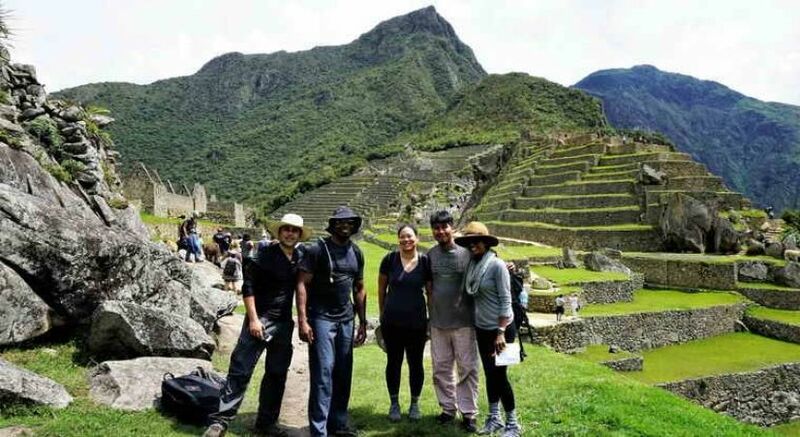 You can choose to hike the Huayna Picchu or Machu Picchu Mountain (if any of our clients is interested in these places, please consult about the entrance fee tickets at booking time) and finally finish with the total visit of Machu Picchu. For your return, our clients will board the bus from Machu Picchu to Aguas Calientes and then to the train station according to your train schedule you will board the train back to Ollantaytambo town; here our transfer will be waiting for you to transport you back to your Cusco hotel. End of our services. 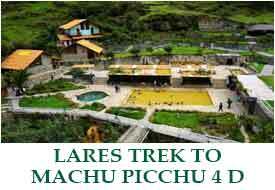 Transportation: Aguas calientes - Machu Picchu – Ollantaytambo – Cusco. Our price $ 550 USD per person for 2 people. Our price $ 530 USD per person for 3 people. Machu Picchu sunset and Machu Picchu sunrise.